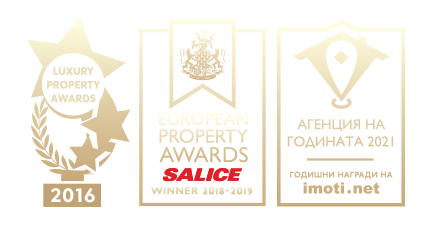 We present to your attention a new-build luxury complex of elegant houses with parking spaces and amenities, located in the beautiful coastal quarter of Burgas - Sarafovo. The complex is situated in close proximity to the seashore, only 200 m away from the sandy beach. Area: 167.40 sq.m with an additional under-roof space of 15 sq.m. First floor: bedroom with private bathroom and toilet, 2 bedrooms with shared bathroom and toilet, and a terrace. Insulation - 5 cm, EPS and waterproofing. Railings and enclosures for balconies and windows mounted and painted. Grocery store - 200 m.
Center of the neighborhood - 800 m.
Bus stop - 500 m.